383 pages. 6" x 9". Softbound. Covers the U.S. M-1 Garand and M-14 service rifles and their commercial equivalents. Highly detailed with more than 1200 clear photographs and line drawings plus an easy-to-read text. 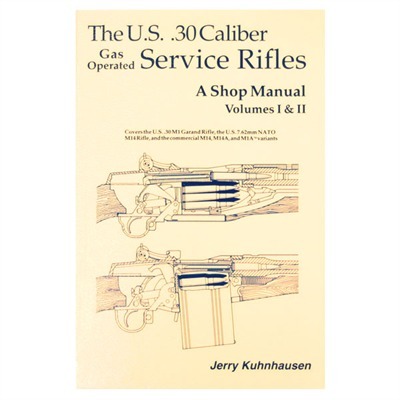 Step-by- step directions help you understand the rifles’ function and repair. Covers all phases of inspection, critical dimensions, ammunition, sight work, stocking and much more. Complete accurizing and building match rifles information, too.